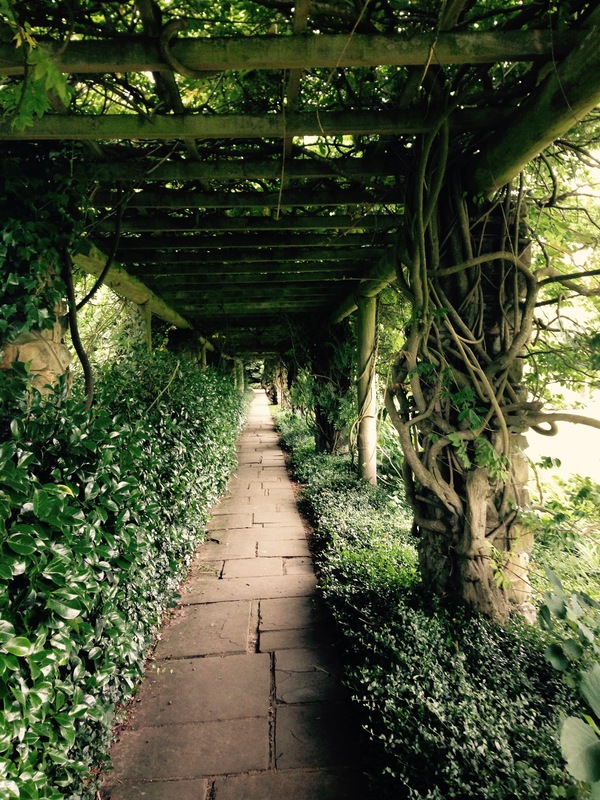 Tuesday 18th August 2015 – Nymans. This afternoon my sister Michelle, her son Sam, Emily, George and I went to Nymans. It’s a wonderful National Trust place in West Sussex. When I was training for my Shine walk, I walked from my house to here which is 26 miles and it took me 7 hours! Today we took the car and it took about 45 minutes. We managed to get there and back without going on the motorway which was great. The Satnav wanted me to, but the fact that there had been a crash earlier in the morning between and lorry and a crane, was a huge sign to avoid it like the plague!! We only went for the afternoon which is great when you don’t have to pay to get in (if you’re a member that is). 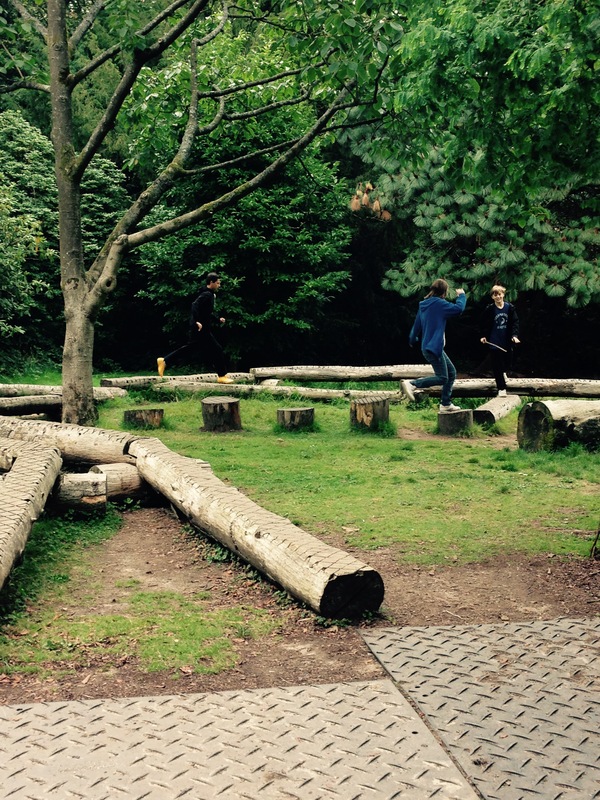 We wandered around the beautiful grounds and the kids found a play area where there were logs of all shapes and sizes. Even thought they’re 13, 14 and 15 they still like to jump around of them. It’s great when they’re all together and playing like that, it reminds Michelle and I of when they were little. All three of them springing from log to log. I’m pleased to report no one broke their ankle. After they’d jumped around enough we continued on our travels around the gardens, admiring all the wonderful beds and beautiful array of flowers and plants. We found a gorgeous pergola, which was swamped in various plants. The perfect creepy place to hide, and it went on and on, and if you stood at one end and looked down, it looked unreal and a bit like “tunnel perspective”….yes it’s a word I looked it up!! A perfect place to shelter from the blazing sun!! When we get that I don’t know. We found little wicker huts that you could sit in, loads of bizarrely shaped trees, which had huge trunks, so must have been hundreds of years old and saw so many wonderful views across the West Sussex countryside. They had a bed of Red Hot Pokers, or Kniphofia if you want the correct naming, which the honey bees loved and would push themselves right up inside the flowers to find all the nectar. The fabulous gardens at Nymans. Loads of little secret ones to discover. We found a little area of lawn that they’d set up a game of croquet on. Although I misheard George when he said this and thought he’d said cocaine instead! That’s a different game all together. The kids had a go, but we wondered (as in Alice in Wonderland) where the flamingos and hedgehogs were? Once we’d looked around everything we wanted to see, Michelle bought the kids an ice cream and us sensible grown ups had a hot cup of tea. It was rather chilly that day, and very un-summery at 18 degrees. What’s that about all. It was a lovely afternoon and great to get out and do something fun with my sister. This entry was posted in Uncategorized and tagged Alice in Wonderland, claire's allotment, croquet, flamingos, hedgehogs, honey bees, kniphofia, National Trust, Nymans, Pergola, red hot pokers, Tunnel perspective, West Sussex. Bookmark the permalink. 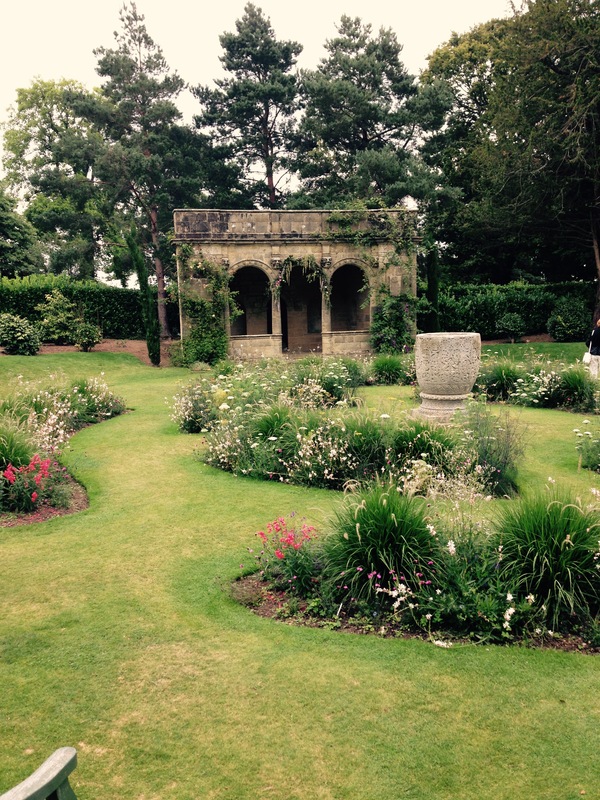 1 Response to Tuesday 18th August 2015 – Nymans.